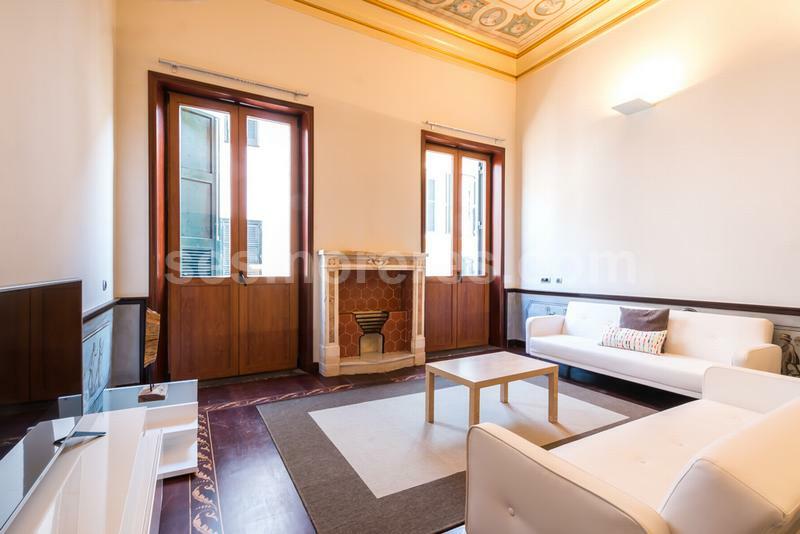 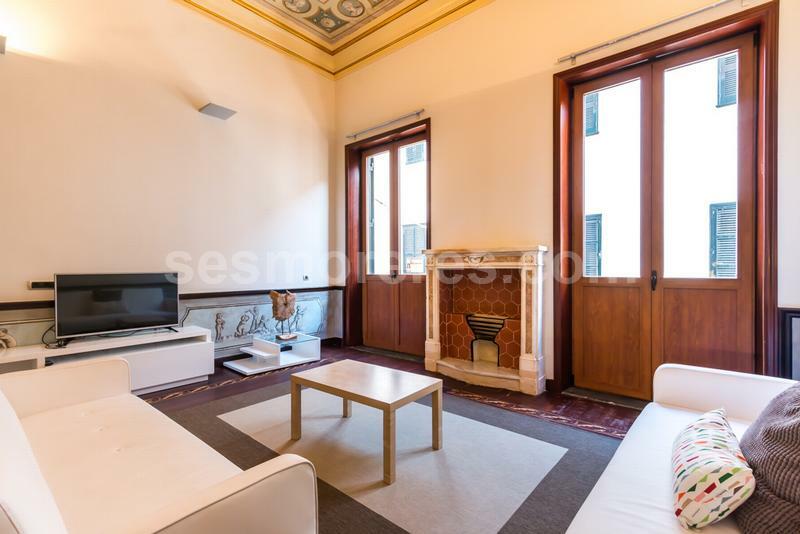 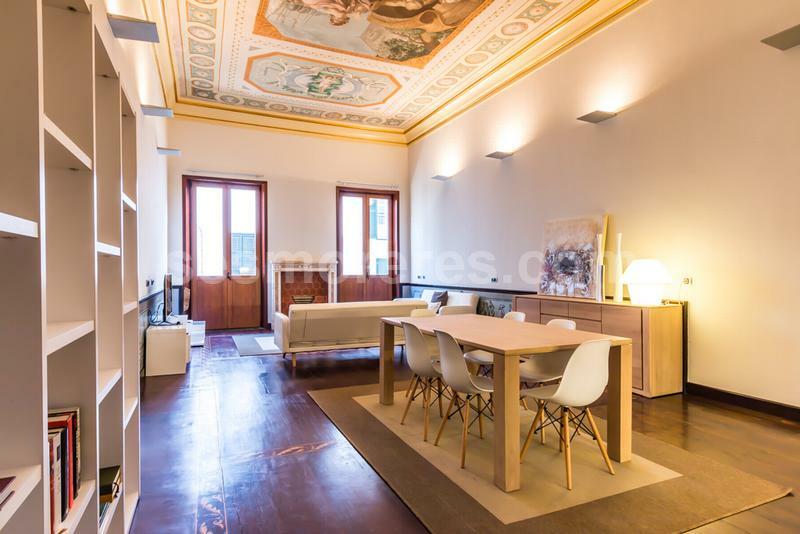 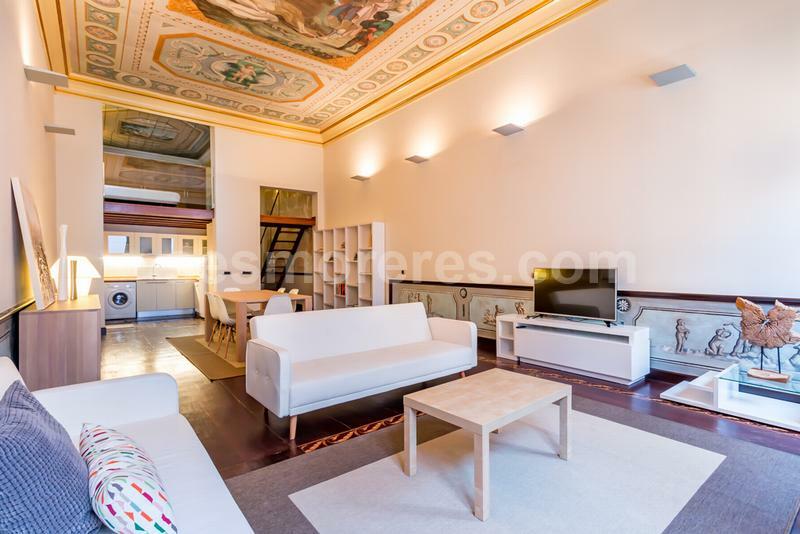 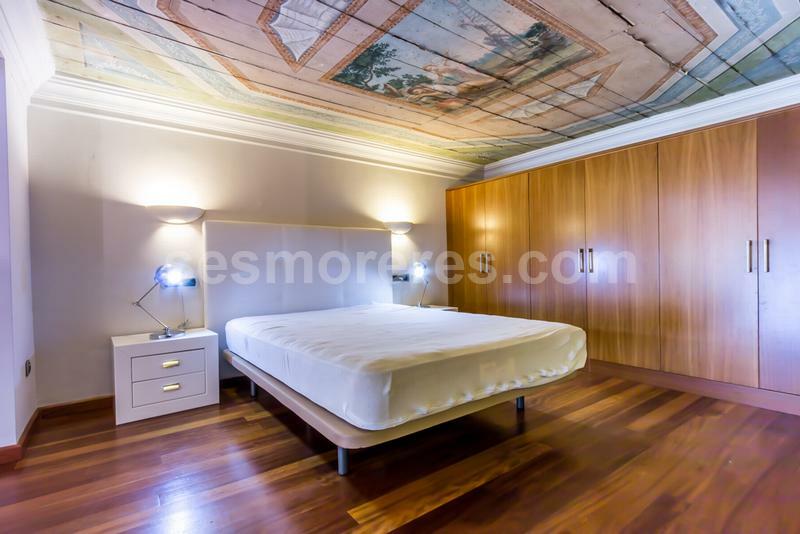 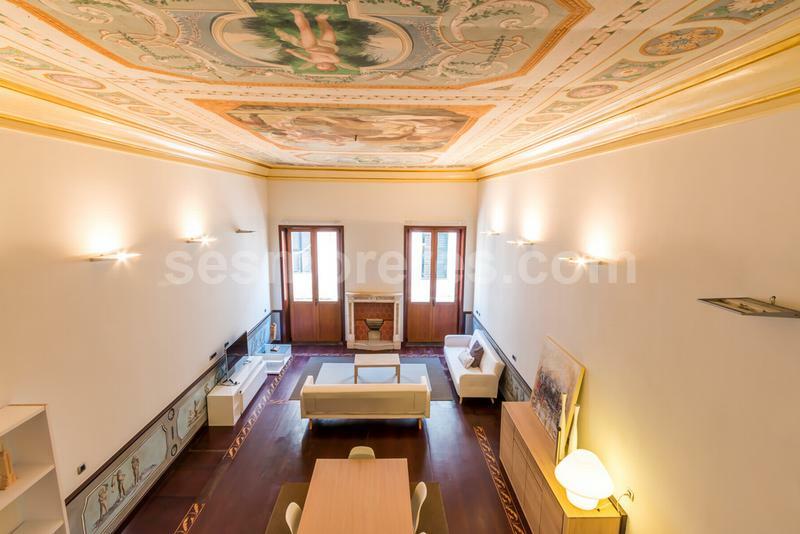 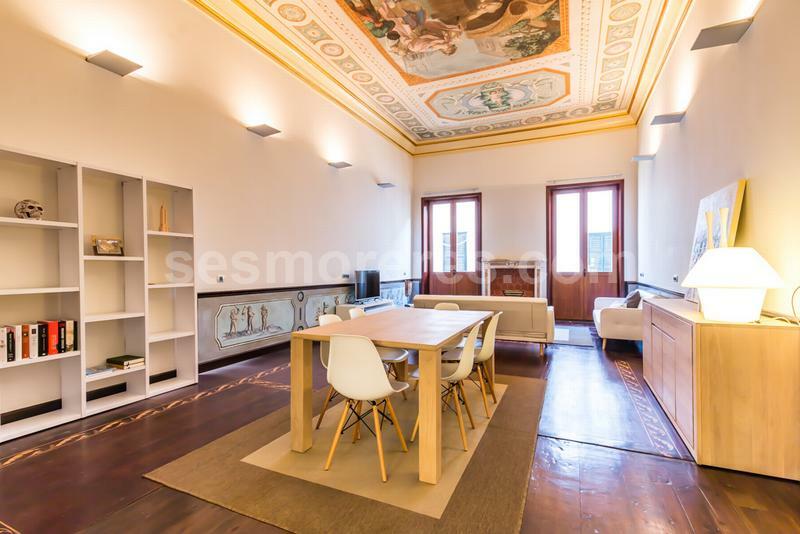 A first floor apartment which is exceptional for its hand painted ceilings and mahogany floors. 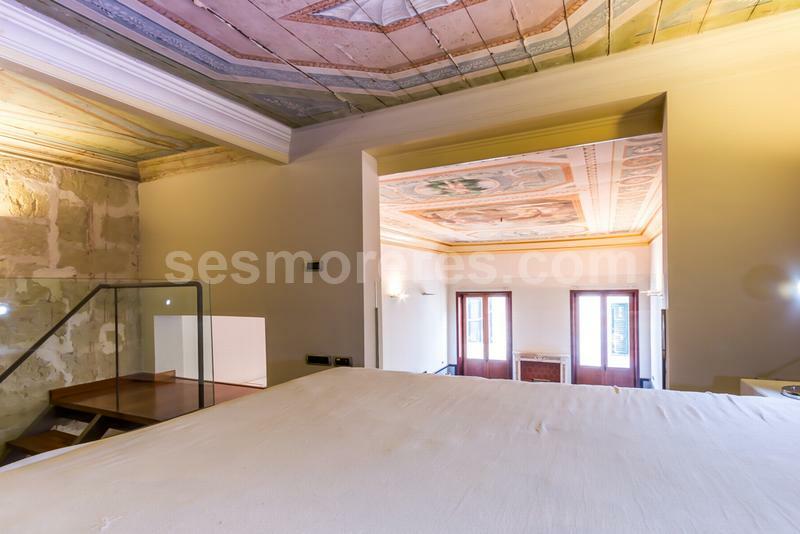 The lounge and dining area is spacious and light and the bedroom is located in a beautiful mezzanine above the kitchen area designed to take full advantage of the unique ceiling painted by Chiesa in the XIX Century. 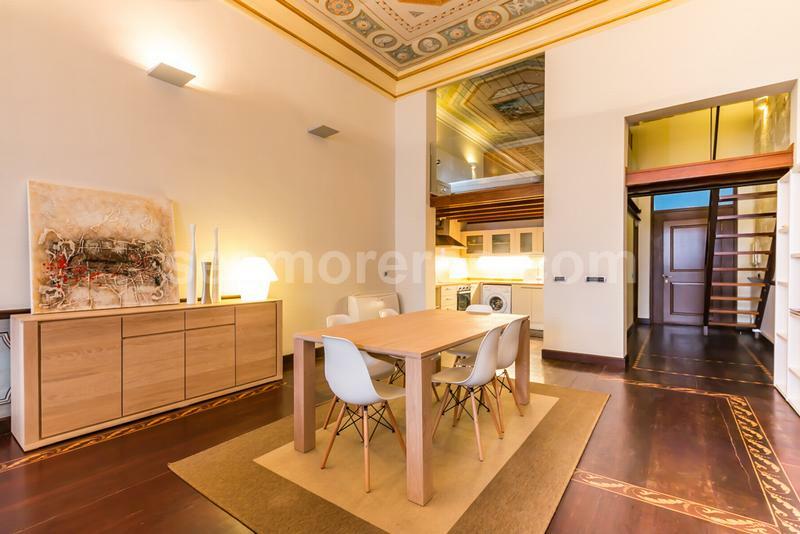 Only top quality finishings have been used in the reformation of this building which includes a lift and is well located in a quiet street but only five minutes walk to the town center. 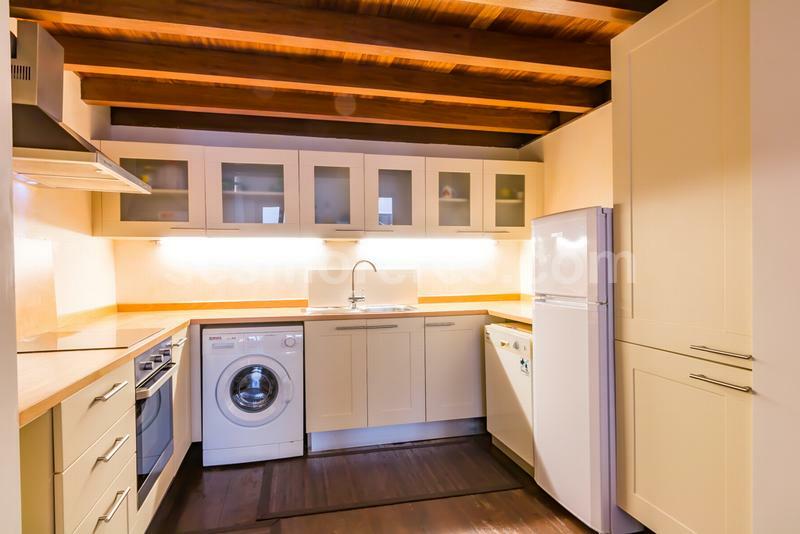 Built surface area of 117 m², 1 bedroom double, 1 bathroom, kitchen, elevator, heating, construction year (2007).